We’re into WordPress. No way around it. Our customers use it, which pretty much destined us to become experts. So we decided, hey, why not go crazy? What if we built the ultimate platform for running WordPress sites? We’re talking exactly what we’d want if money were no object. Our WordPress cluster is a whole BUNCH of servers, all working together to serve up WordPress sites in record time. They also share the work between them. So just in case that page you’re just finishing up goes viral, we’ve got you covered. Our friendly staff are available 24×7, however you prefer to reach us. On the phone, via Live Chat, or over email/ticket, we’re always here to help. You’ll never find yourself waiting to talk to someone – we’re there when you need us. We treat your sites like they’re our own. Our team will go the extra mile, whether that’s blocking an attack before you know it’s there or helping you fix a broken site. We invest in top quality hardware to keep your sites running faster and better than anyone else. Sure, it costs a little more. But we think it’s worth it and you will, too. Our servers are tuned to deliver top speed. We don’t use “stock” configurations. We don’t cram hundreds of people onto overworked machines. You won’t believe how fast your site will load when it’s hosted the way it was meant to be. 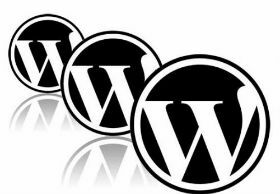 This is WordPress how it was always meant to be: fast, reliable, scalable. We’ve tuned it for you, and we make sure everything is kept up to date. And unlike those “other guys”, you still get CPanel AND email included. Oh yeah – did we mention our support rocks? You can cancel your account for any reason at any time. There are no hidden charges, fees, or “gotchas”. You know how support usually seems disinterested in your issues? How they usually put the burden back on you? Our support team is passionate about our hosting services, and they are eager to help you with anything they can. Go ahead, test them! Even though we’re packing numerous features to keep you sites up and running, they don’t make your account any harder to use. Our advanced cloud platform handles features like our automated backups and any migrations between physical machines. So you’ll never get an email from us telling you that we have to take your site down to fix a hard drive. We know that your needs can change. Maybe you add a website, or shut one down. Whatever it is, you can always change plans whenever you like with no penalties. Changes to your plan are applied immediately – no waiting or delays. When you start your trial, we’ll set up your account instantly. Within seconds your hosting account will be ready to go and you can start putting us through our paces. Or better yet, let our technicians move a site over for you. They’ll even give it a custom performance tune up so you can really feel the speed. If you are unhappy with the service for any reason, just let us know and we will refund your most recent payment. How can we offer this? We’re that confident that you will love our service.